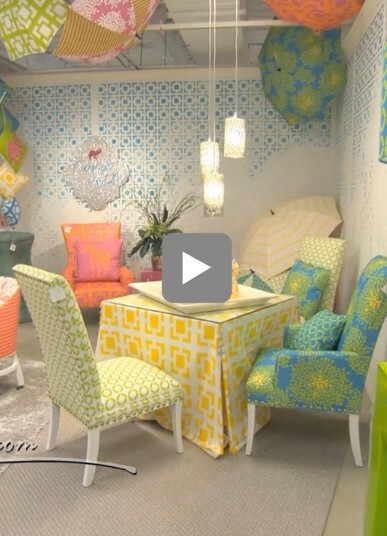 If you’re into color, this showroom at High Point Market is the perfect example of bringing bright, bold beautiful color into the home. SF Designs debuted a new collection this spring called Cirque 612. Because they do their own fabrics, they are able to give clients the ability to interchange the colors and patterns for each piece. Our favorite pieces were the ottomans, their pillows (including the sparkly broaches on them) and their gorgeous cut glass mirrors!